Can I use this theme on multiple WordPress sites? Yes. All Solostream themes are licensed under the General Public License (GPL). This means there are no restrictions on how you use them. You can modify them and use them for personal or commercial projects on as many sites as you like. Yes. As an online business, we understand the importance of SEO. As such, our themes are designed for maximum search engine visability. 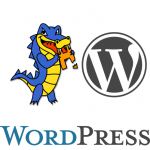 We also recommend that you use one of the many WordPress SEO plugins available (e.g. All-In-One SEO) to further enhance the search engine visability of your site. Yes. 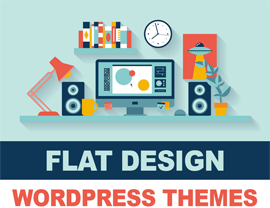 We always keep our themes up-to-date with the latest version of WordPress. Yes. Simply upload your logo via the WordPress dashboard, then add the file URL to the WP-Prosper Theme Settings page found in your WordPress dashboard. Most WP plugins work just fine with our themes. That said, there are thousands of plugins, and there's no way to guarantee they'll all function properly with our themes. If you have a problem, we'll do our best to help you resolve it or find an alternate plugin with the same functionality. Since our products are intangible goods that are digitally delivered, we do not offer refunds. Please review each theme and ask any questions you might have prior to purchase (we've been known to make exceptions for extenuating circumstances). InterPhase is a beautiful, clean design that maintains a "cutting edge" feel without loosing its sense of professionalism.